Last month we shared a story teasing an imminent new release from those clever fellows at McLaren Automotive. Well, the car hinted at in that brief yet tantalizing video made its debut at the 2015 Geneva Auto Show. Meet the McLaren 675LT, live and in the flesh. Well, not really “in the flesh.” More like carbon fiber, as this material is used extensively in the construction of this very pretty supercar. 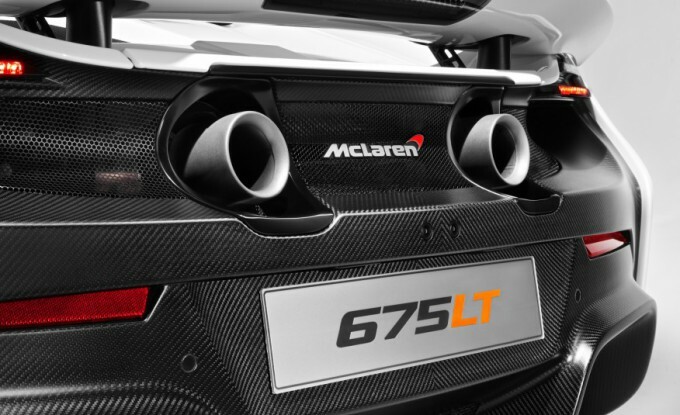 From the chassis to most of its bodywork to its integrated aerodynamic bits like its Longtail Airbrake (part of what gives the car its name), the 675LT is designed to be super-strong yet super-light. McLaren says it managed to shave off 220 lbs from the 650S, the car on which the new 675LT is based. The company claims a third of the 650S’ components were modified or completely redesigned to achieve the weight savings, which will definitely translate into a more nimble and agile car. “LT” is a revered designation for McLaren; it was first used on the legendary F1 GT Longtail GT-Class racers from the mid-1990s. The F1 GT Longtails literally had obviously extended rear bodywork; the 675LT’s tail, on the other hand, extends the car’s length by a barely noticeable 1.5 inches. Despite the subtlety of the revised bodywork, McLaren says the 675LT’s active Longtail Airbrake helps generate up to 40 percent more downforce than the 650S. 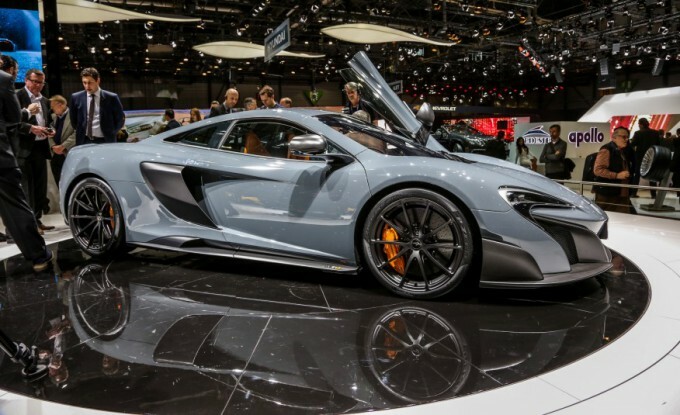 The 675LT is powered by an upgraded 3.8 liter twin-turbo V8. Max output is an infernal 666 bhp, with a peak torque figure of 516 lb/ft. All this goes through a seven-speed dual-clutch automatic transmission to the rear wheels, translating into a claimed 0-62 MPH sprint in 2.9 secs and a top speed of 205 MPH. McLaren says the car will be available in autumn 2015. Only 500 examples will be built, and each one will set you back a cool $349,500. I’ll take mine in McLaren White with Rocket Red accents, please.